If you have been on a safari, or Africa is close to your heart, you will love Julia Cassels’ paintings in our new solo show of her latest work. 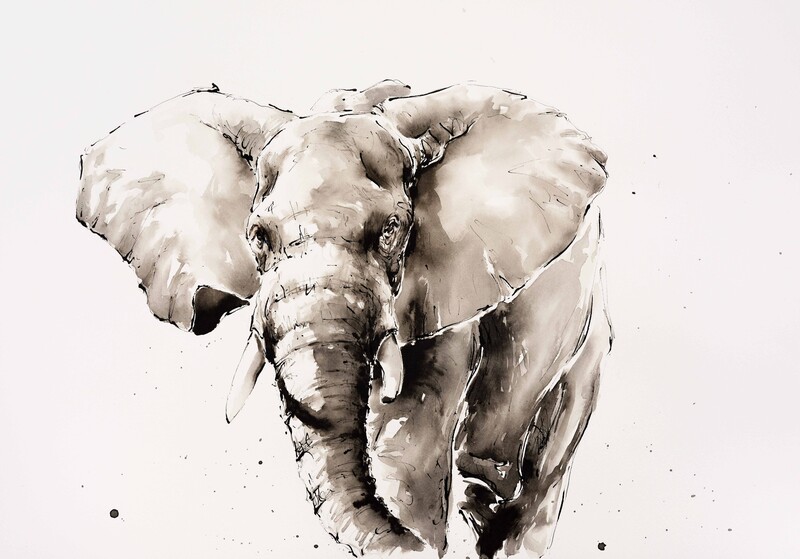 ‘Safari’ has already proved very popular and more and more of our clients are now proud owners of one of Julia’s superb animal and figure drawings or oils. Julia seized the opportunity to work with the Maasai in the heart of Kenya's Rift Valley in her early 20's. There she found the wondrous rhythms, shapes, and colours captivating, forming a lasting impression, and sparking a life-long love for Africa and its wildlife. She lived in Zambia with her husband for several years before moving north to Tanzania. Although they now live in England Julia returns to Africa on a regular basis. 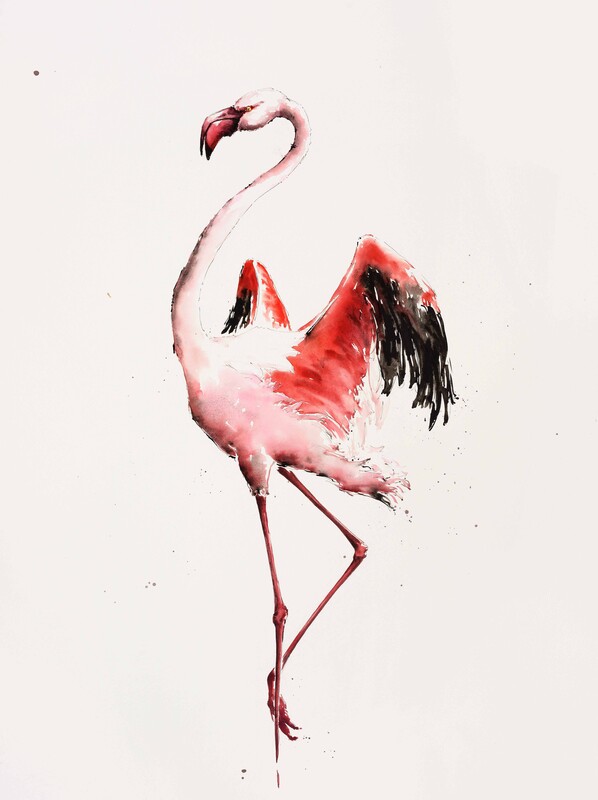 Whether it is a hippo drinking from a lake, zebras at full gallop, walking ostrich or feeding flamingos, the energy, beauty and vulnerability of African wildlife leaps from the frame. 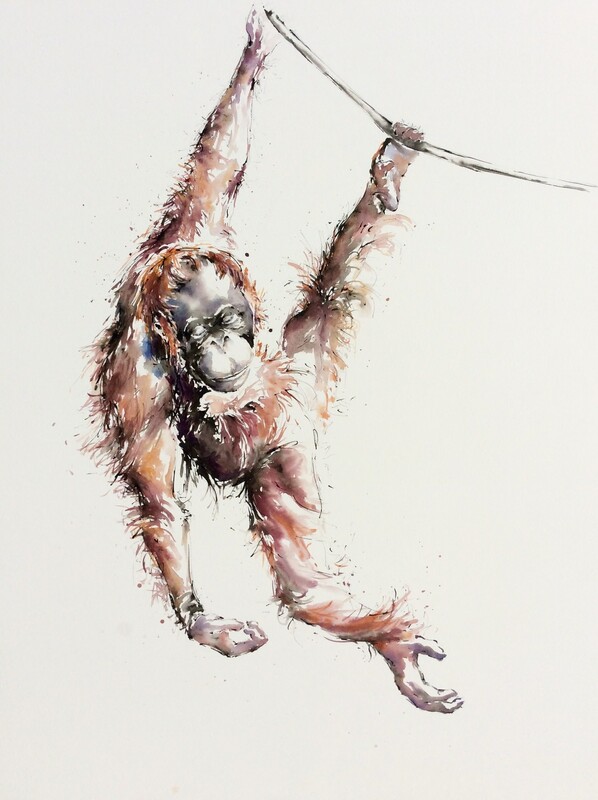 Although specialising in watercolour, Julia enjoys the basics of draughtsmanship and brevity of line to gain a natural spontaneous fluidity. She will often introduce inks, graphite or charcoal for emphasis. While her distinctive style displays a remarkable understanding of colour and rhythm in her subjects, and a true knowledge of the bush.